The problem with history is that time creates more of it, and things once held in high regard in one era often fade from memory as time ticks on and history moves forward. With their multi-media production of “Ricky Nelson Remembered,” Matthew and Gunnar Nelson are working hard to ensure the rock and roll legacy of their famous father is not forgotten by musical historians. 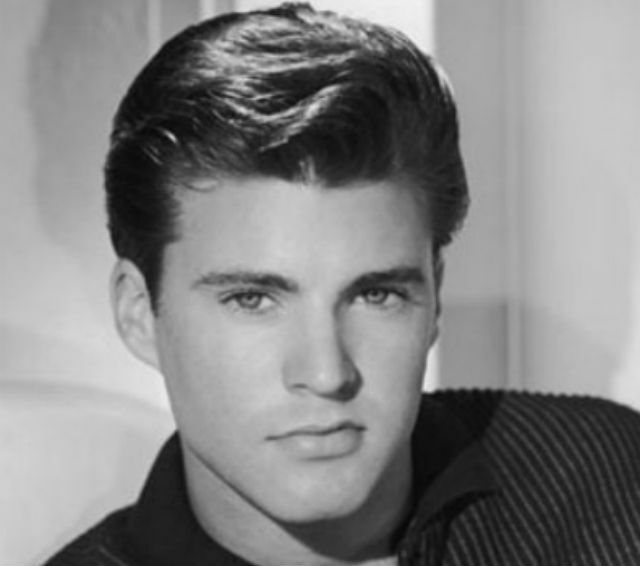 Young adults weaned on Drake and Justin Bieber may not recognize him, but Ricky Nelson was once the handsome golden boy of both American music and popular television. As the son of TV’s most famous family on The Adventures of Ozzie & Harriet, Ricky Nelson was the ultimate dream date for swooning sweethearts in the late 50s and early 60s. However, he was also a rock and roll pioneer, selling 35 million records and earning his (posthumous) rightful place in the Rock and Roll Hall of Fame. Despite earning critical acclaim as a rockabilly star who out-charted Elvis in the years 1958-59, Ricky’s clean-cut and well-manicured image often lead media critics to lump him into a category with the likes of Pat Boone and Fabian. Unlike those two bastions of banality, Nelson was a rock and roll rebel and outspoken advocate for the genre during a time when cultural forces were rallying against “the devil’s music.” That’s just one of the many reasons why Ricky’s legacy deserves the stage treatment being given to it during “Ricky Nelson Remembered” according to the two sons producing it. There are definitely numbers to back up that claim. Ricky Nelson placed an incredible 53 songs on the Billboard Hot 100 between 1957 and 1973 including “Poor Little Fool,” the first #1 song ever listed on the newly established Hot 100 chart. His dual career of music and acting made him popular enough to inspire 9,000 fan clubs, and he was named one of TV Guide’s Top 50 TV personalities of all time. Collectively, the Nelsons are credited as being the only family to have three successive generations hit #1 by the folks at Guinness World Records. And regardless of his family ties, Matthew Nelson is quick to heap praise on his father’s talent and his impressive accomplishments as a musician. Like several of his musical contemporaries, Ricky Nelson’s story comes complete with a tragic ending. On December 31st, 1985, on his way to a New Year’s Eve performance in Dallas, the mechanically-plagued aircraft carrying Nelson and his bandmates crash-landed in a cow pasture less than two miles from a landing strip. Seven of the nine occupants were killed including Nelson. Thankfully, the elder Nelson was around long enough to see his sons successfully following in his footsteps. As for “Ricky Nelson Remembered,” Matthew Nelson says the multi-media production features an A-list collection of musicians who are dedicated to performing the music with passion and reverence. For the Nelson twins, however, there's a deeper motivation to deliver a great show.